In some cases, if you have a student taking an exam in the testing center, you may be required to provide a printed copy of your exam along with an answer key. This article will walk you through how to print both a copy of the exam and the accompanying answer key. 1. Open Respondus and click on the "Retrieval" tab. 2. 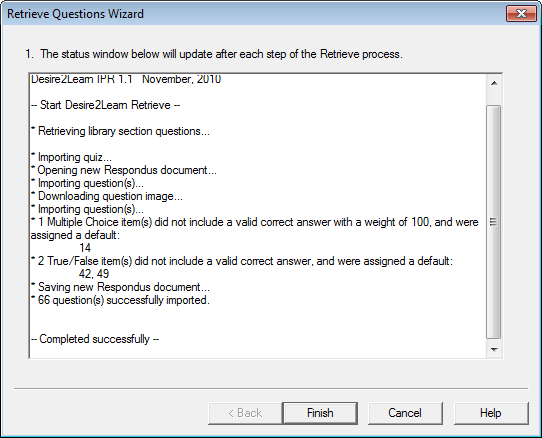 Click on the "Retrieve Questions" button. 3. 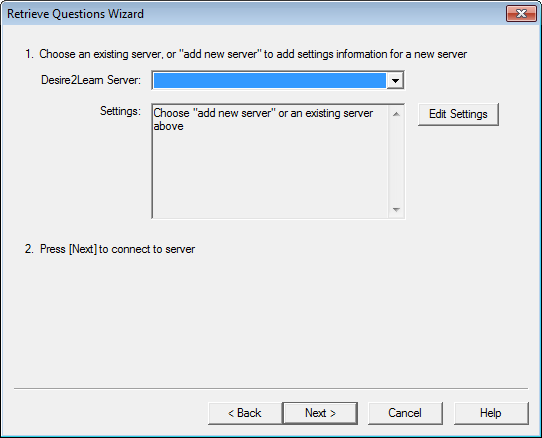 The first time you use Respondus, you will need to “add a new server.” Click on the Desire2Learn Server drop down and select “add a new server.” If you have already added a server, you can skip to step #9. 4. 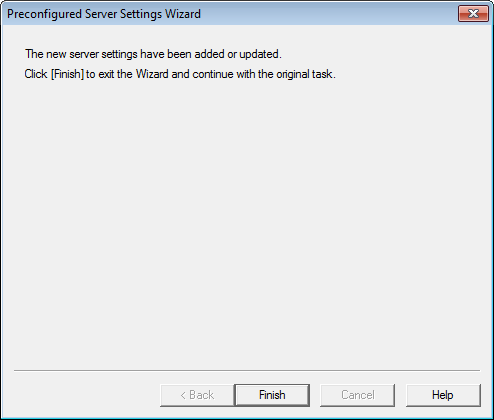 With the "Yes, check for preconfigured server settings" option checked, click "Next." 5. Choose the "Learn@UW-Stout" server and click "OK."
6. 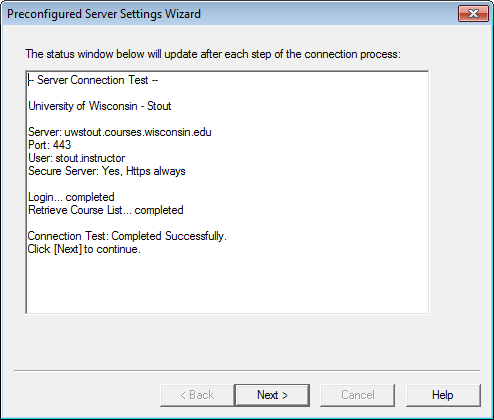 Within the Preconfigured Server Settings Wizard window, (1) enter “Learn@UW-Stout” for the server name, (2) enter your username/password, and check the "Save my username and password on this computer option", and click "Next" to run connection test. 7. Wait until the server connection test has completed successfully and click "Next." 8. Click "Finnish" to end the wizard. 9. Click "Next" to connect to the server. 10. 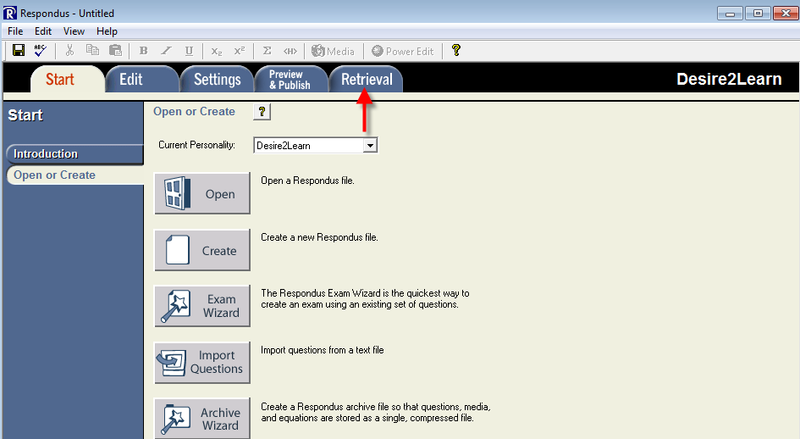 Now that you are connected to the server, you can choose the (1) course to retrieve from, (2) Retrieve Assessment Type (e.g., Question Library Section), (3) enter a name for the new file, and (4) click "Next" to retrieve from server. 11. Wait for the retrieve process to complete successfully, then click "Finnish." 12. Click the "Review and Publish" tab. 13. 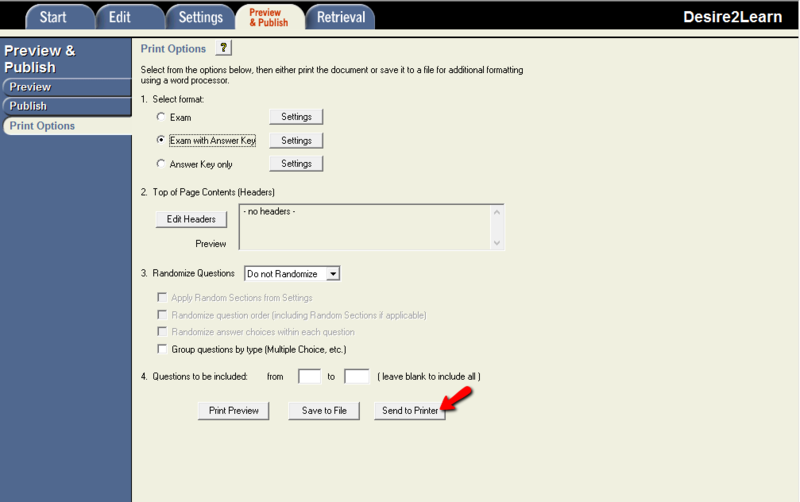 Click "Print Options" on the left and select a printing format (exam, exam with answer key). Click "Send to Printer." *NOTE: The Testing Center often requires both the printed version of the exam and the exam with the key. You are strongly advised to print both. 14. Lastly, select the printer you wish to send it to and click "Print."